The timeless character of a traditional home, the charm of a modern farmhouse, and the amenities of a southern estate. 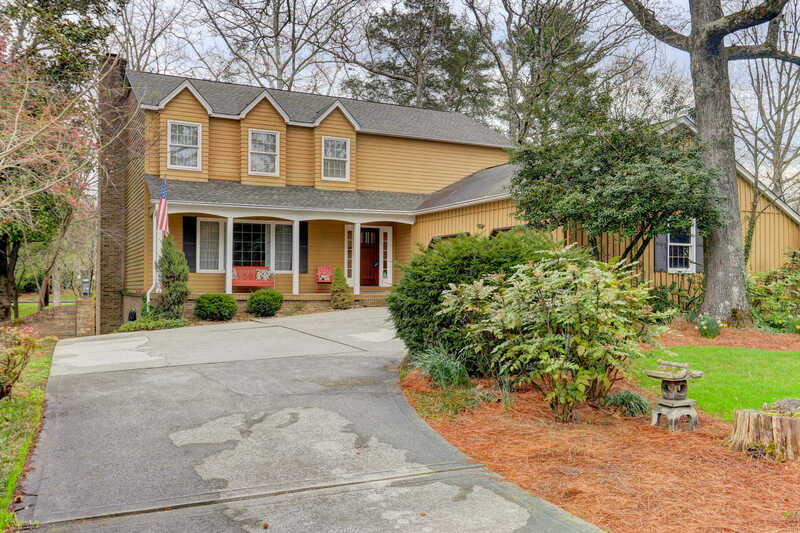 Perfectly balanced throughout this 5 bedroom home on a one acre level lot in Fox Den. Spend sunny days at the in-ground gunite pool (heated) and cooler evenings sitting around the large backyard fire pit. Beyond the fenced area is an additional half acre for yard games or even a backyard tent party!! The memories are endless!! Kitchen has been remodeled with custom dovetail cabinets, marble counters with an 11′ island, Cafe SS appliances, and a custom beverage station with double pantries. Upstairs has 3 large bedrooms, guest bath, plus an oversized master with ensuite. Please, send me more information on this property: MLS# 1073236 – $499,000 – 12002 Congressional Point, Knoxville, TN 37934. I would like to schedule a private showing for this property: MLS# 1073236 – $499,000 – 12002 Congressional Point, Knoxville, TN 37934.